How Many of 2018’s Biggest Fashion Trends Did You Wear? Home Fashion How Many of 2018’s Biggest Fashion Trends Did You Wear? Year after year, we see new fashion trends, we see old fads come back from the dead, and we find a few completely mad items turn up to surprise everyone by being incredibly popular. 2018 was certainly no different and finally, we have a comprehensive list of what were the biggest fashion trends of last year. How many did you pick up and will continue to wear into 2019? A big favorite among the Kardashian clan, biker shorts are yet another 90s item revived on the runways and metropolitan cities across the world. Sometimes genuinely worn for sports activities, biker shorts were generally seen with a few unexpected items such as blazers, heels, and even sweaters. In 2018, it seems as if just one logo on your jacket, sweater, T-shirt, or dress just isn’t enough, it needs to be covered in logos! The effect turned out better than one might think, as no blank space is wasted, but rather filled with the logo from top to bottom. 2018 was the 90th birthday of Disney’s Mickey Mouse, so you can bet that thousands upon thousands of denim and leather jackets, as well as T-shirts and pants, were adorned with the lovable mascot. Even if you aren’t the biggest fan of Mickey, the images look cute and work in stark contrast to what many might call serious fashion. Often called “dad sneakers” or “ugly sneakers” due to being rather chunky, very white and with odd patterns and color choices, this type of sturdy shoes were nevertheless hugely popular. Young and cool trendsetters were regularly seen out and about with dad sneakers on, which may have prompted many sons and daughters to ask their fathers to borrow these now-trendy shoes! It seems as if Kanye West was primarily responsible for kicking off the tiny sunglasses trend, but regardless of who got the ball rolling, small sunglasses (usually just perched on the nose) took off big-time and were seen on every celeb wanting to be part of the trend. Not too dissimilar to these cat eye shades, tiny sunglasses might be put away for good now that it’s winter and a new trend is bound to appear, but for a while, these were the glasses you simply had to rock. A bit like the biker shorts and dad sneakers, fanny packs were a 90s staple brought back to huge popularity! Surprisingly useful and cool, these bags switched things up by tending to be worn across your body like a dash, as opposed to on your waist. Often called “fishing hats,” bucket hats gave off a cool vacation vibe, even if you weren’t currently on a holiday! 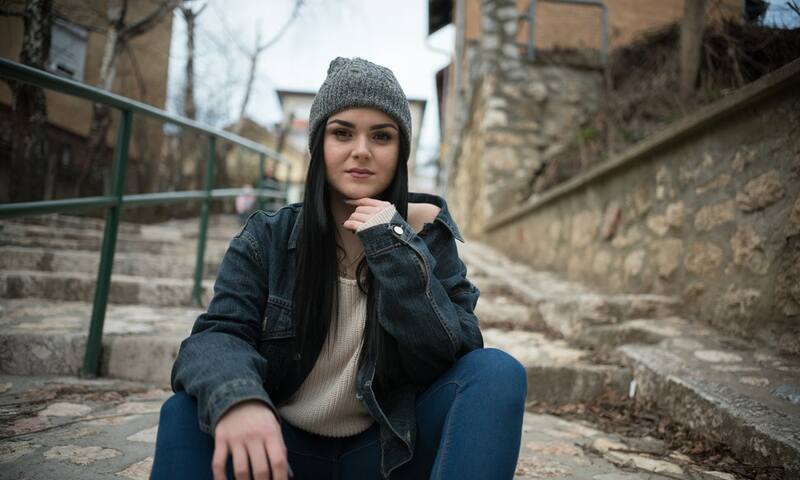 Easy to style with other items and coming in a wide range of colors and styles, it’s not hard to see why these hats made it big in 2018 and no doubt again in 2019.